This two-piece kit secures the scanner to your belt with magnetic force. 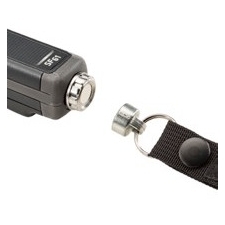 Simply attach the belt loop with magnet to your belt, and affix the magnetic end-cap to the SF61B mobility scanner. This provides a quick and convenient attach/release method. A small plastic tool is included for installation/removal.